A fantastically tasty new snack from the flavour developers here at Sunrize! 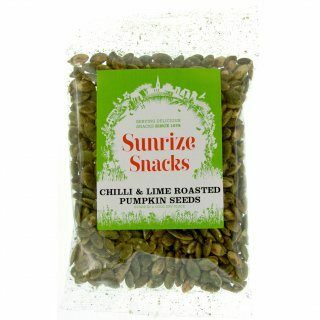 Gently roasted protein packed pumpkin seeds with a spicy and tangy chilli and lime coating. Totally delicious!